Just before this year's selection show for the NCAA Men's Soccer Tournament, Furman coach Doug Allison was on the phone with UNC Wilmington coach Aidan Heaney. The two friends and natives of England discussed where each of their teams may land in the tournament. 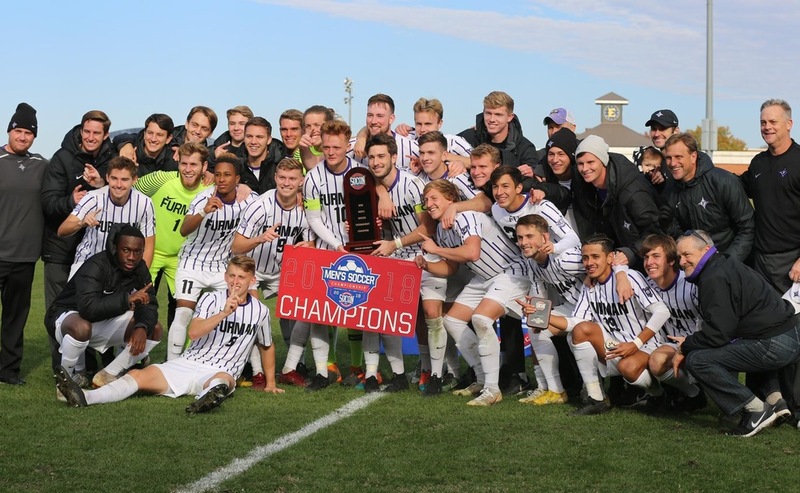 While the Paladins secured an automatic bid by winning their 14th Southern Conference championship, the Seahawks were hoping to earn an at-large bid. "All of a sudden he calls me back and says, 'we'll see you Thursday,' " Allison said. Thursday will mark Furman's 11th NCAA Tournament appearance when the Paladins (13-6-1) play at UNCW (12-5-2) at 7 p.m. The winner of the first round match will advance to play at No. 10 seed Virginia on Sunday. Nine of those NCAA appearances have come under the guidance of Allison, who's in his 24th season as coach at Furman. This will be the Paladins third tournament in the last five years, having last made the field in 2015. Each of Furman's last three NCAA games have ended in a tie, including a first round loss on penalty kicks at South Carolina three years ago. Allison is thrilled that this year's group of six seniors have one more chance at the NCAA Tournament. "This is one of those teams that may not be as talented as some teams we've had, but they are a team. The leadership of Danny (Kierath) and Cam (Robinson) has been fantastic," Allison said. "It's a unique team and a fun one to coach. I'm just really pleased for them because they've earned it." Furman made the NCAA Tournament following a run to the SoCon championship that was capped by a 3-0 win over UNC Greensboro in Sunday's final. After opening the tournament with a 4-2 win over Belmont, the third-seeded Paladins toppled second-seeded ETSU on its home field 2-1 in overtime to advance to the final. In UNCG, Furman was facing the team that ended its season at each of the previous two SoCon tournaments. It was also the same UNCG team that handed the Paladins a 1-0 loss in the regular season finale two weeks earlier. 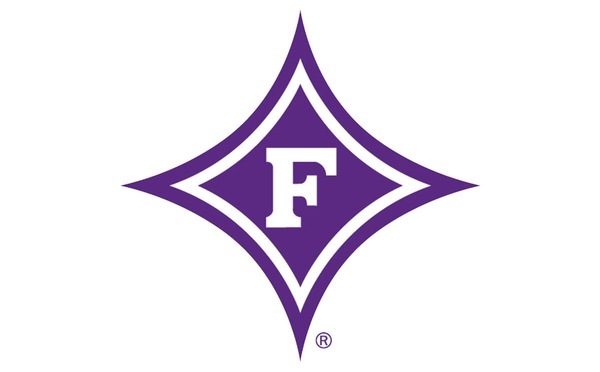 In the championship, Emery May scored Furman's first goal at the 20:21 mark and then added another nine minutes later. Conor Sloan wrapped up the scoring with a goal at the 86:21 mark. "We had a much better game plan going in (to the final) and the kids really stuck to it," Allison said. "We nullified their dangerous players and learned from the first game. We also had captain Danny Kierath back for that game. He was out the first time we played." Ben Hale, the 2018 SoCon Goalkeeper of the Year, recorded five saves in the shutout. Senior Laurence Wyke, who had the game-winning goal against ETSU and assisted on May's first goal Sunday, was named the tournament's most outstanding player. Jack Shiels, Cameron Robinson and Rocky Guerra joined Wyke on the All-Tournament team. "The tournament most outstanding player could've went to a number of guys to tell you the truth," Allison said. "Emery May had four goals in three games and Ben Hale had plenty of saves, but Laurence is just playing at a different level." Allison said Sunday's game was Furman's most complete performance of the season. After opening the season with an impressive 2-0 win at Ohio State, Furman was shut out in each of its next three games. The Paladins suffered a 5-2 loss at Clemson on Sept. 18 before going 7-0-1 over the next eight games. That streak included an 8-0 win over VMI and a 2-0 win at ETSU as Furman began SoCon play with a 4-0 record before dropping its final two games of the regular season. That may not have been the ideal way to enter the SoCon Tournament, but Allison said his squad rallied together. He believes that rugged non-conference schedule also helped prepare the Paladins for the SoCon Tournament. He hopes that holds true for the NCAA Tournament as well. "We went into some tough environments and played some tough teams," Allison said. "In the end, that prepares you for tournament time."